This week I had the pleasure to speak with Duck fan – Drummergirl231-2. She runs a blog on Tumblr about Ducktales and Donald Duck. I came across an entry she wrote about Fethry Duck which peaked my interest. Drummergirl231-2 writes out the case that Fethry Duck may be a High Functioning Autistic. While this has not been confirmed by the show creators, she makes a pretty compelling argument for this case. As many of you are aware, this month is Autism awareness month. 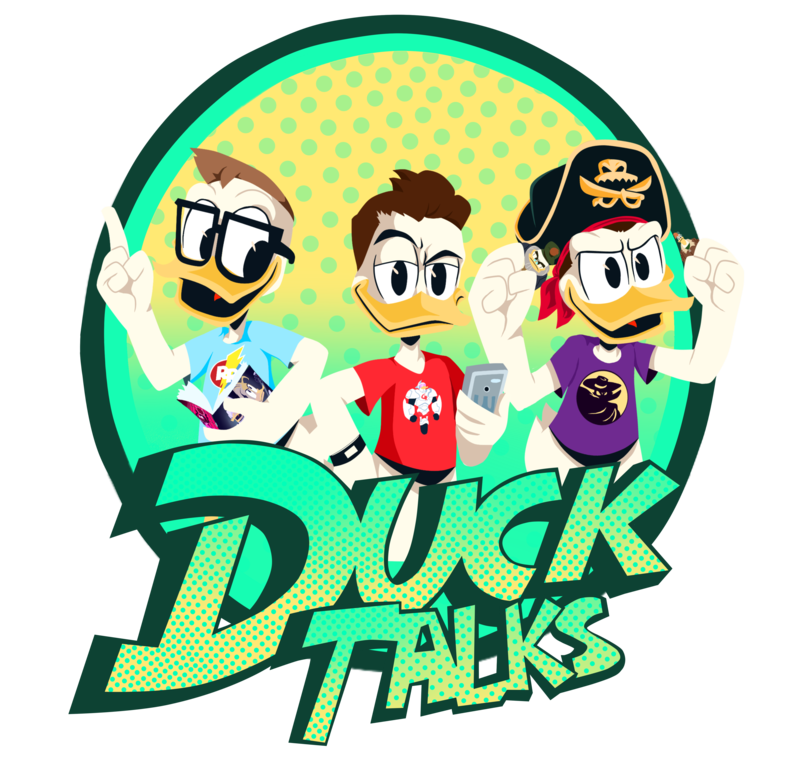 If Fethry Duck is autistic, it is great that Ducktales has representation for people with a different type of neurological blueprint. Please read the following post off Tumblr. I’ve hesitated to make my post about this (even though apparently it’s a very common headcanon) because when I made one on my first blog a few years ago for TMNT 2012′s Donatello (just after finding out I’m on the spectrum), someone hecka went off on me for it, saying it’s offensive that I would attach a “******* mental disorder,” to someone just because they’re socially awkward. Honestly, it was like they had such a low opinion of autistic people that they thought Autism was an insult. Also, I would just like to say that while people can totally disagree with this very plausible headcanon, if you attack me for it then you’re just the jerk who cyberbullied an autistic person. Fair enough? I think so. Possibly the ASD representation in fiction us high-functioning autistic peeps have been missing. While media’s most popular suspected aspies (Sheldon Cooper from TBBT or BBC’s Sherlock) primarily demonstrate the one “symptom” of rudeness due to social delays (making aspies look like total jerks), Fethry’s social delays just make him a bit awkward (not mean), and that’s huge. An example of his social delays is that he’s genuinely slow to understand that other people aren’t going to be as excited as he is about his ocean obsessions or think looking at krill or barnacle formations in the shape of a tractor are good enough reasons to go to the seafloor. He also finds his krill’s glowing colors far more enchanting than others do. Autistic people often have heightened physical senses because our brains don’t process sensory input the same way. This can be overwhelming, but other times it makes us aware of details and beauty that others miss (this is why sensory bottles are so calming). And guys, no joke, this exact thing happened to me on a missions trip once. This will sound weird out of context, but it also might sound weird in context, so oh well. I once got in trouble for pointing out how pretty the color of some lights were and my teammates said I was wasting everyone’s time and it turned into this like half-hour long debate between one half of my team and the other and it was all because I pointed out the pretty lights. And the lights were the same exact colors as those krill! THIS SCENE YOU GUYS. The shame. The memories. The feels are real. Also, earlier in the episode when Scrooge and Donald were recounting their past adventures with Fethry, Scrooge recalled his “rambling lectures.” Sometimes we aspies have an impulse (that’s very hard to control) to babble about our obsessions even though no one wants to hear about them. This is why I joined Tumblr. It’s such a relief to find other people into the same stuff I am. Now for some other signs. Even though there doesn’t seem to be an actual gene for Autism, it does tend to run in families. I have it, my little half-brother has it, our nephew might have it, you get the idea. The obsession with weird stuff is like one of the main things with Asperger’s/high-functioning Autism. We have narrow and obsessive interests that a lot of the time our peers don’t give a crud about. We become very knowledgeable in those few subjects, memorizing as many facts as we can. Guys I have this Mickey Mouse hoodie that, if temperatures allowed, I would never take off outside the house. College was extra stressful because of my Autism and Misophonia, but my hoodie gave me a constant. At rehearsals I would only take it off if it got too hot, but then my anxiety would go up and my stomach would hurt (because of my Autism I’ve had anxiety-induced stomach pains since I was eight). I sometimes felt better tying the sleeves around my waist. I fully support these ducks and their need to wear their signature red hats at all times. Here’s another thing I love about Fethry. While it’s common for other shows to take a sign of Autism/Asperger’s and milk it for all it’s worth until the character is an over exaggerated caricature of an aspie *cough*Sheldon*cough*, Fethry feels more like a real person. For example, the fact that Sheldon Cooper cannot understand sarcasm has been the subject of many comedic bits on TBBT, but a lot of aspies do understand sarcasm (and it gets easier the more we know the person). Sometimes it just takes us a second though because our brain is naturally geared to take things literally. Also, aspies are commonly portrayed as not caring about other people, but that isn’t true, and Fethry shows that. He was willing to risk his life to keep his little cousins safe, even though he just met them. but he isn’t a self-absorbed jerk like so many people think aspies are thanks to other media (someone else commented on my post about Donatello the ninja turtle saying they don’t think he could have Asperger’s because he isn’t mean like Sheldon Cooper, and that broke my heart a little). He’s a little different, and it doesn’t make him bad, or defective, or in need of some cure. All he needs is some love and understanding from the people in his life. Actually… first things first, he needs some people in his life. No more solitary confinement for you, good sir! I don’t have the authority to say for sure whether someone else’s fictional character truly has a high-functioning form of Autism or not, but if Fethry does, then as someone on the spectrum, I am extremely happy with this portrayal. Now look at his cute little walk you guys LOOK AT IT. Ducktales 2017 has really brought already so much to the table. Not only has it expanded on our favorite Disney universe, it has brought diversity and representation to Ducktales. You can find more posts from her on Tumblr by following this link drummergirl231-2. Also I would like to thank Drummbergirl231-2 for allowing us to post a copy of her blog. Previous Rumors of May DuckTales Episode Titles and Premiere Dates! Next ‘A Goofy Movie” MagicBand Sighted At Magic Kingdom!